To search a list of animals found by citizens or picked up by Animal Control as strays that are currently being held at the TPAS, click here. Stray animals are held for 7 days, so if you find your pet in this list, contact the Terrebonne Parish Animal Shelter IMMEDIATELY! If during hours of operation, contact TPAS by phone at 985-873-6709. If after hours of operation, contact TPAS by email at animalshelter@tpcg.org and provide the animal's description and Animal ID# listed. Terrebonne Parish Code of Ordinances - Sec. 5-23. 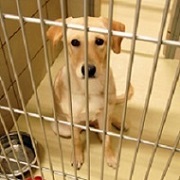 Any domestic animal found by a person other than the parish run Animal Shelter shall be held for fourteen (14) days before claiming ownership and/or adopting/transferring said animal so long as the said animal has not displayed or reported to have displayed any aggression towards humans or other animals and/or has not caused damage nor reported to have caused damage to property. Additionally, reasonable attempts to locate and reunite the found animal with its rightful owner shall be made within the fourteen (14) days, including but not limited to, placing an ad in the local newspaper(s), completing a found report with the Terrebonne Parish Animal Shelter, and having the found animal scanned for a microchip.